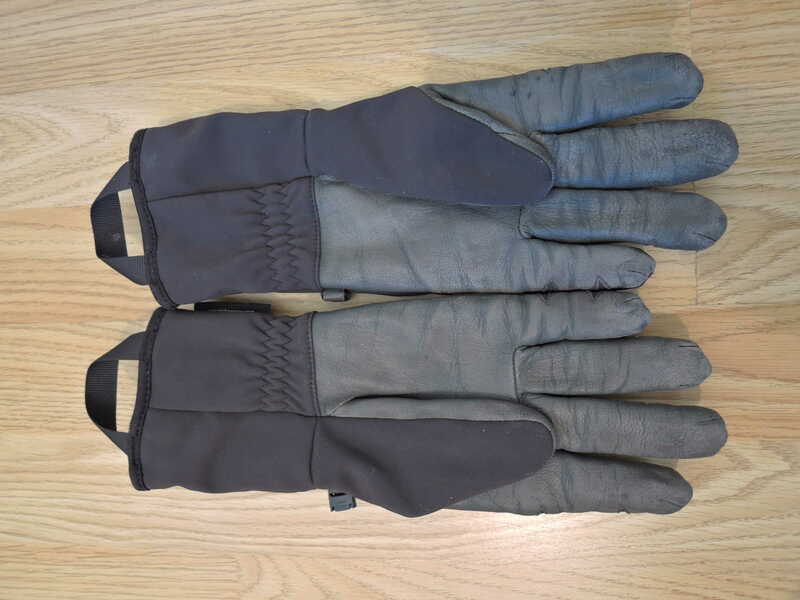 What better time to talk about a pair of gloves if not in winter. Three years of usage and still counting, with plenty of life left in them. 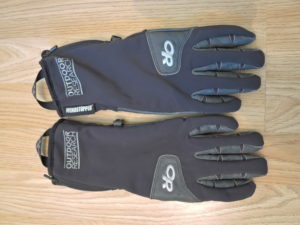 My first pair of branded gloves, purchased initially for winter use, but turned out not to be as warms as I have hoped. Nevertheless one of the best I’ve owned that’s always in my pack. Outdoor Research Stormtracker Gloves it’s a multi purpose Windstopper soft shell material made glove. Extremely breathable and light can be found in both men’s and women’s fit and generally retails for around £45. Performance doesn’t come cheap but you do get what you pay for. The sizing is almost perfect and Small is a tight fit but without being restrictive. The material used is a Windstopper soft shell with a mix of nylon and spandex. The palm is made of goat leather abrasion and water resistant. It features a soft lining made from polyester which adds a bit of warmth. 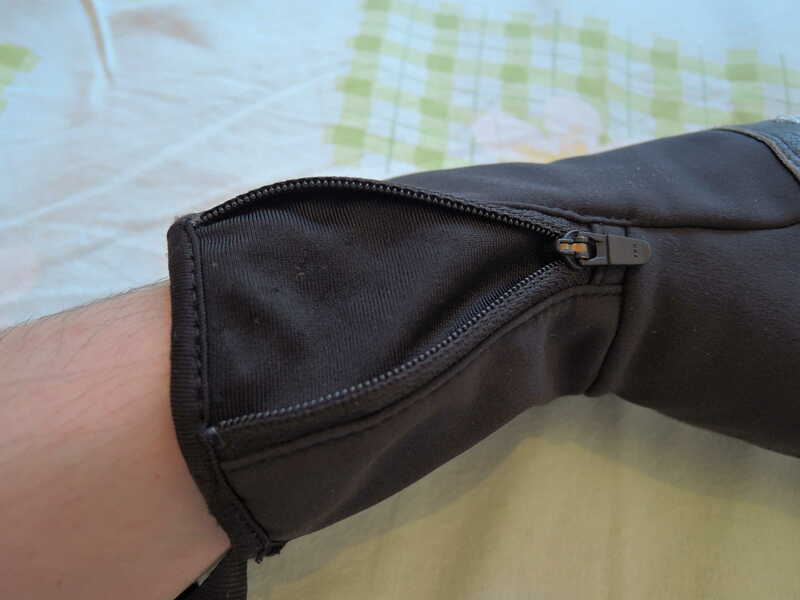 The side zipper is high quality and still smooth after 3 years of use. The Glove is durable but lightweight at just under 100g ( size S). The price reflects in the build quality and functionality. Has seen a good amount of use and still in fairly good condition. It has easily become my “to go” pair of gloves and only gets replaced by my OD Arete if temperature drops below -10C. Ski Touring, alpine climbs and rock scrambles, ice climbing or general mountaineering, you name it and will always perform flawlessly. Good dexterity with MotionWrap technology made it my 1st choice for ice climbing. Bought a BD Punisher last year and still has the tags on. Gusseted entry secured with a zipper and a pull loop for easy on – off. Dries fairly quick if the leather is not soaked. Maintains its warmth and dexterity even when wet, though I once took it off on top on Monch and froze solid in less than a minute. The only complain would be that the lining has slightly compressed and I can feel the stitching when belaying. 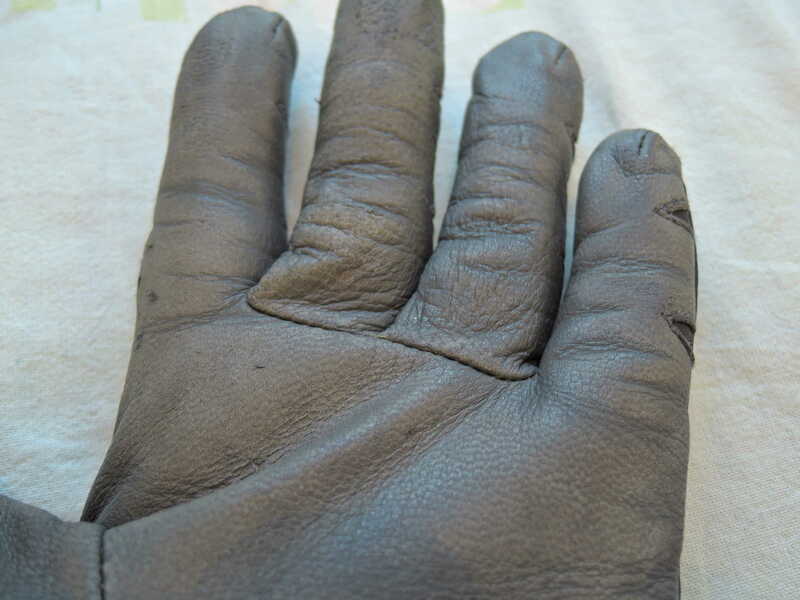 Also the palm leather is not very thick so not recommended for fast belaying/abseil. Lining starts to compress after a good amount of use. Storm Tracker must be the glove that I use the most as it covers a good range of temperatures and activities. Took a lot of abuse and still in good nick. Has been intensively used on via ferrata in the Dolomites, mixed routes in Scotland and Alps, easy ascends on 4000ers, ice climbing and backcountry winter trips. Always dried overnight if got wet. It has been used up to -10C in activities that require constant movement of hands and fingers. Otherwise not warm enough and has been replaced with my double gloves OD Arete. I can not recommend them enough and surely will be buying another pair when these will become unusable. On a second though the price is not even that high considering how many years I’ve used them so far. But in the end is not about the price or brand. The perfect glove is the one that performs the best for you and meets your needs without having to compromise on dexterity or comfort. Next time you find yourself in an outdoor shop just check them out. However, if you have better suggestions, I am always happy to try new equipment.